WHO WOULDN`T BE HAPPY HAVING THIS PINK PIG TO SAVE THEIR PENNIES? BRIGHT PINK NOSE UNSCREWS FOR YOU TO REACH YOUR CHANGE. 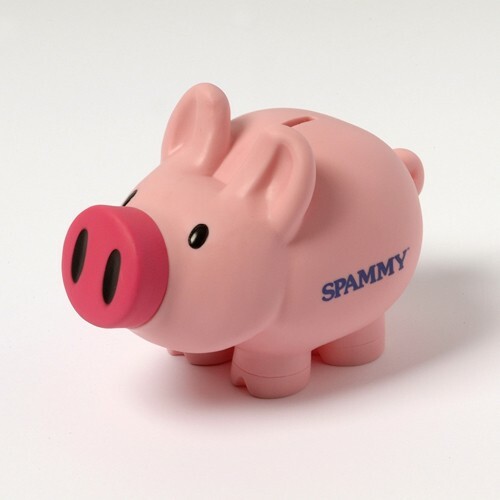 SPAMMY™ PRINTED IN BLUE ON ONE SIDE. 8 INCHES LONG BY 5 INCHES TALL. PLASTIC.